We are still working on the details but the aim is to cover everything from coming up with an idea for a proposal, formulating it for submission including a speaker biography to tips on how to structure and deliver a presentation. We also aim to have a mix of presentations and hands-on opportunities. Reason for being involved in workshop: Its clear that the IT industry is not diverse and I see this both as a sign of injustice and as a missed opportunity for the world. I want to help do my part to break the cycles that are perpetuating the sad status quo. About Lukas: I have been a long time contributor in the PHP world and currently at a web agency called Liip in Zurich Switzerland that deeply cares about diversity and open source. 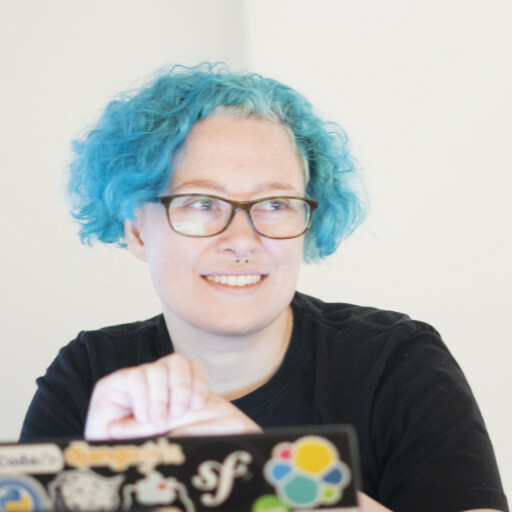 About Michelle: I am a code-passionate colourful geek with more than 15 years of PHP experience. I have spoken at many conferences all over the world, and will gladly share that experience. I work at Liip as a developer. Liip is a self organised company that care a lot about open source and people. Reason for being involved in workshop: I want to help get more people's voices heard, and have better, more diverse talks at conferences. About Rae: I'm a web developer and Open Data enthusiast who mainly programs in Python and PHP. Originally from the UK, I've been living in Zürich since 2011 and gave my first conference talk in 2015. I love science fiction and cats. Public parking might not be so well-lit. Yes, a ramp to get in and elevators to move around in the building. No, if there is sufficient interest we could look into making it available. We will dedicate a meeting room for this purpose. Its a normal office, meaning there are not dangerous tools but also no specific child proofing (like wall sockets) and there are of course semi-expensive things to break. In general it should be safe when someone keeps an active eye on the children but not so safe for them to wander around on their own. We can dedicate a meeting room and do additional child-proofing there. However as noted above we do not have a professional childcare offering planned at this point. We aim to ensure sufficient space between tables and chairs to allow people on crutches or wheelchair to be able to navigate easily. Please reach out if you want to make certain. We can make available normal office chairs for those who need/prefer them over our normal chairs we have in the workshop area.